Shoot & Post joins Film i Vast with awards for “Frame Filmfestival” in Gothenburg. Giving support and money in order to make sure that young filmmakers can complete their projects and get it out. The award will be in class 27+. Anna – Karin Johansson, head of the festival and representing Kultur i Vast is really looking forward to the competition this year. This week Fateh Shams is grading Caterina Pecchiolis dokumentary “Talking Hands”. It will then be in competition in Festival dei Popoli in Florence at the end of November. Producer is Dugong Production in Roma. “Lo Scambio” was awarded the jurys special price at Annecy Cinema Italien festival. Congratulations to Eleonora Cordaro, Filippo Luna and Salvo Cuccia. World premiere for “I called him Morgan” in Venice. The documentary about the famous jazz musician Lee Morgan “I called him Morgan” by Kasper Collin will have world premiere on the 1st of September in Venice Out of competition. Online is done by Fateh Shams and grading is going on this week by Nikolai Waldman. Christer Engstrom will make the DCP:s for distribution. The film will then continue to Telluride, Toronto and New York. Shoot&Post are doing DIT-services on “Dröm Vidare” produced by 2afilm through Björn Liljegrääs. The shooting is in Alby, Stockholm and Luleå during this summer. Director is Rojda Sekersöz and DOP Gabriel Mkrttchian. We are now doing postproduction of Susanna Edwards documentary about the proffessional boxer Frida Wallgren. World premiere at Tempo Dokumentary Film Festival in Stockholm in March. Producer Garage Film. The documentary “Kiki” by Sara Jordenö will now go to Berlin after Sundance. It will be in the section Panorama Documents. Editing Rasmus Ohlander and assistant editor Christoffer Sevholt. Grading by Fateh Shams and DCP by Christer Engström. The documentary “Kiki” will be in competition in Sundance in january. Edited by Rasmus Ohlander and directed by Sara Jordenö who have spend almost half a year in our offline suite at Shoot & Post. Fateh Shams have now started the grading and later Christer Engstrom will make the DCP delivery to the Festival. Production company is Story. 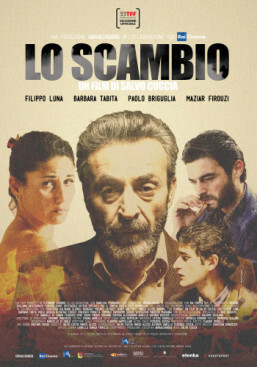 “Lo Scambio”, coproduced by Shoot & Post will be in competition at Torino Film Festival this year. Grading by Nikolai Waldman and VFX by Christer Engstrom. Michael Sevholt as coproducer will visit the festival in Turin. Congratualtions to Salvo Cuccia, director and Eleonora Cordaro, producer. Gabriela Pichlers new feature “Invasion” is now in shooting. DIT services is offered by Shoot&Post through Christoffer Sevholt. Dailies are on Vimeo and editing will be on Avid. Grading is scheduled for March – April by Vanessa Taylor at Shoot&Post.